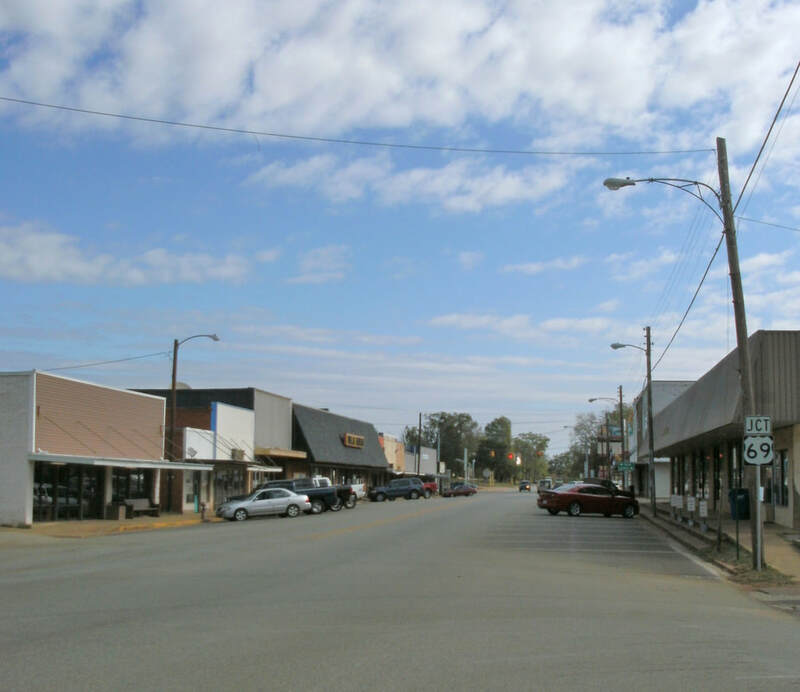 The mission of the Alto EDC is to facilitate the diversified economic growth of our city by presenting Alto, Texas as a preferred industrial site, commercial, and residential locale. The purpose is to enhance the quality of life within our city, and to promote the continuing economic development and growth within the Alto area. The vision is that every resident of the City of Alto will have the opportunity to maximize their economic potential. In 2008 several prominent citizens and businessmen presented the idea of starting an economic development group for the betterment of Alto. As a result of their determined efforts the Alto Economic Development Corporation (AEDC) was developed. Its purpose is to foster the development of new business ventures, increase tourism and raise the general public's awareness of the economic benefits of doing business in the Alto area. The Alto EDC will partner with existing agencies which offer assistance to emerging entities in the commercial, industrial and residential service areas. The Alto EDC goals are spelled out in the Mission Statement. This project originated as a monthly health fair in downtown Alto in the year 2012. Changes underwent in Feb. 2014 when Alto EDC purchased a building and moved to a new location. An educational seminar launched in March 2014, to present day, where speakers from all over East Texas educate us on good health and well-being about today’s leading diseases and illnesses. We sometimes incorporate healthy cooking tips, recipes, exercise regimens, safety, healthy living techniques and on occasion some basic screenings. Beginning at noon every month, Community Educators give presentations, and/or slideshows, to teach us better living for healthier lifestyles. Free to the public for adults 18+, as there is no childcare available. Find the Facebook event as a convenient, resourceful opportunity for your community. A new downtown mural was composed as of May 2012 when the Texas Dept. of Corrections inmates renovated the side of this building on the corner of W. San Antonio St and U.S. Hwy 69 where the old mural map of Alto and Cherokee County, Texas resided. In December of 2012, a local artist painted a new wall mural that denotes a map containing the state’s historical sites of the Alto area’s history and rich heritage. 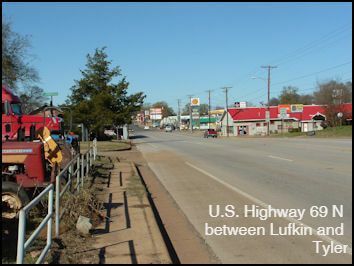 Please notice the before and after photos below and webpages to the historical markers. 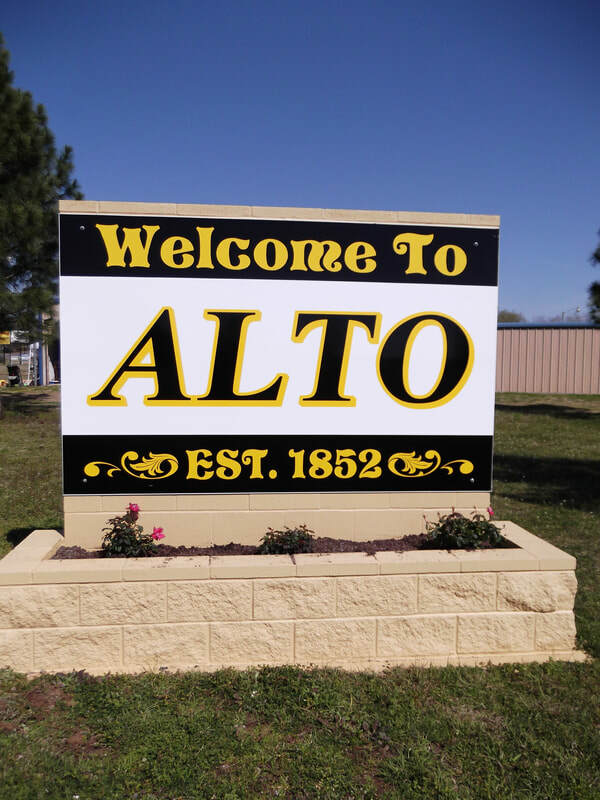 Alto EDC partnered with the City of Alto and private landowners in late 2011 to construct welcome signs at all entrances into the city. All phases of this project have been completed as of 2013. Alto, TX citizens and visitors will see these ”Welcome to Alto” stones erect on the south and north ends of the city on State Hwy 69, S. H. 21 East and West, and Hwy 294. The Alto Economic Development is the financial partner in this beautification project.